​Mileage Fee: $1 each one-way mile from our address to your event address up to 60 miles; 60+ miles away is $1.00 each roundtrip mile from our address to your event address. your requested date and time. Our pens are uniquely decorated and our pets are adorably dressed for the occasion. Like no other petting zoo out there! Mileage Fee: $1 each one-way mile from our address to your event address up to 60 miles; 60+ miles away is $.75 each roundtrip mile from our address to your event address. Deposit: $100 deposit required to hold your requested date and time. Our pens are uniquely decorated and our pets are adorably dressed for the occasion. Like no other petting zoo out there! ​Mileage Fee: $1 each one-way mile from our address to your event address up to 60 miles; 60+ miles away is $.75 each roundtrip mile from our address to your event address. Mileage Fee: $1 each one-way mile from our address to your event address up to 60 miles; 60+ miles away is $1.00 each roundtrip mile from our address to your event address. *****Note***** During the last two weeks of June, and the entire months of July, August, September, January & February, we will not be scheduling outdoor pettings zoos due to the heat, cold, wintry days, and concern for our pets' safety and comfort. during these months for indoor events. ***** Hand-led pony rides will continue to be scheduled during these months during morning hours only. Thank you! What does being USDA Licensed mean? 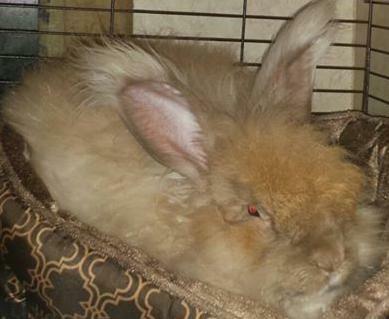 It is the law that anyone sharing their animals with the public must be USDA Licensed. USDA Licensed means that our animals are inspected by a USDA government official who certifies our pets are healthy and that all required vaccinations are up-to-date. The living quarters of the animals are inspected for cleanliness and safety. The USDA inspection occurs regularly, so that you may be assured of a healthy, well cared for, and tame petting zoo for your party. ***Our ponies and farm animals are current on their yearly vaccinations. Although not required by the USDA, our ponies and farm animals are given the RABIES vaccination for your added protection. Who will work our event? It will be my husband and I who will be working your event. 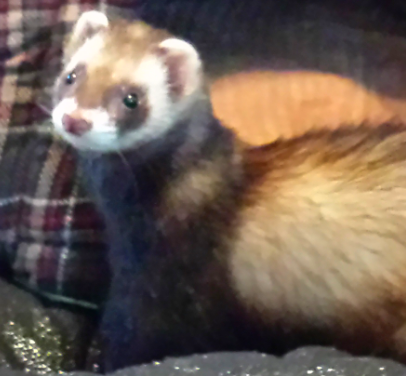 We began God's Little Critters together and enjoy our time together sharing our critter family. If your event is large enough, we will bring additional help with us. Do your pets have their RABIES vaccination? Yes, all our pets who are of age are current on their Rabies vaccination, as well as their yearly healthcare vaccinations. The yearly healthcare vaccinations for sheep and goats are $3 at our veterinarian. When the Rabies vaccination is added, the cost rises to $20 a vaccination. Although the Rabies vaccination is not required at this time by the USDA, we incur the substantial increase in cost for the added protection of our animals and you. *Our farm animals have been hand raised. Many have been bottle babies due to rejection by or death of their mother. The ones that were not bottle fed came to us by their weaning age of 3 months old. They are very socialized and love your attention. However, they are animals with animal instincts which make them unpredictable, and if a child continually places his/her finger at a pets mouth there is a chance of being bit because the animal thinks it is being fed. 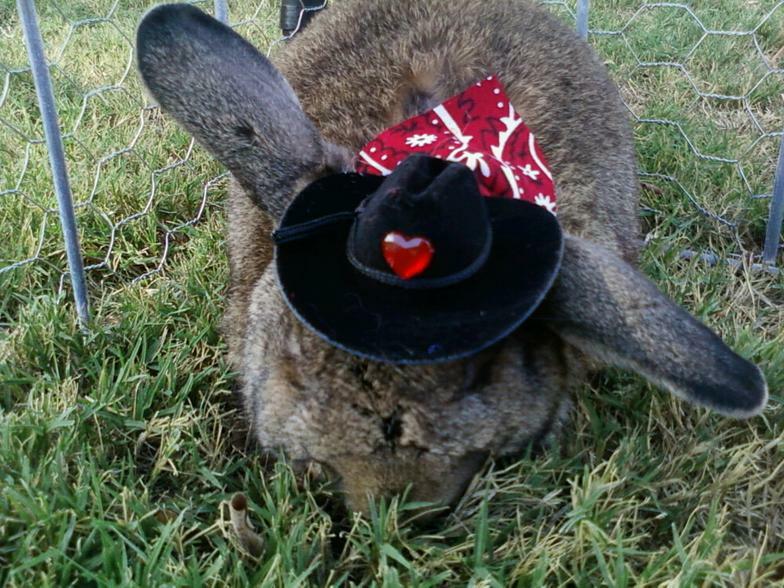 Rabbits do scratch most times when being picked up and that is why we ask for everyone, including adults, to pet them and not pick them up. WARNING: UNDER TEXAS LAW (CHAPTER 87, CIVIL PRACTICE AND REMEDIES CODE), A FARM ANIMAL PROFESSIONAL IS NOT LIABLE FOR AN INJURY TO OR THE DEATH OF A PARTICIPANT IN FARM ANIMAL ACTIVITIES RESULING FROM THE INHERENT RISKS OF FARN ANIMAL ACTIVITIES. 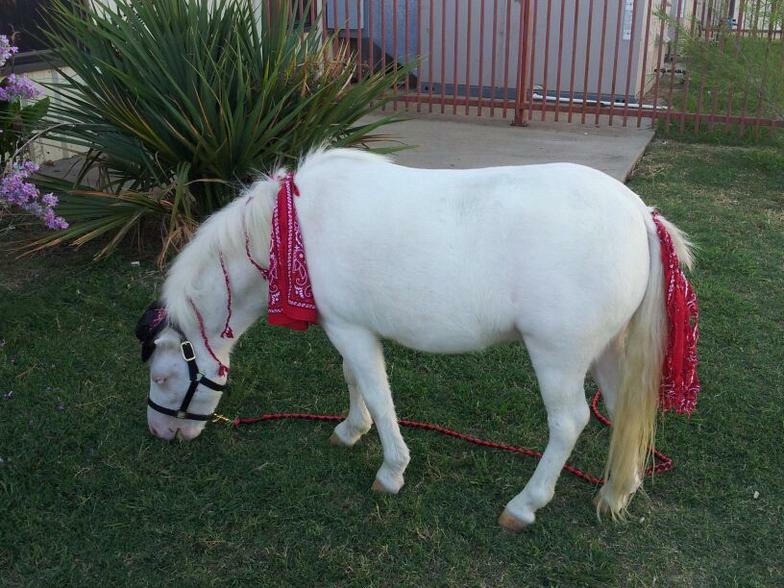 *Our ponies are all very sweet and gentle. 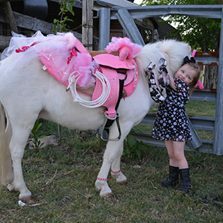 We carefully select our ponies for your children, as well as our own grandchildren, so that they will have a safe, enjoyable, memorable experience while riding a pony. 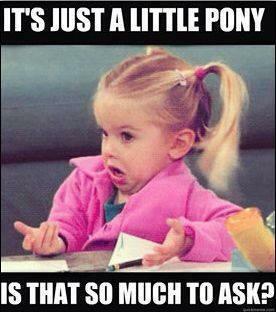 Each pony we have has never bucked, kicked or bit even when they have been surprised. However, it is very important to understand that ponies/horses are flight animals that react out of instinct which makes them unpredictable. 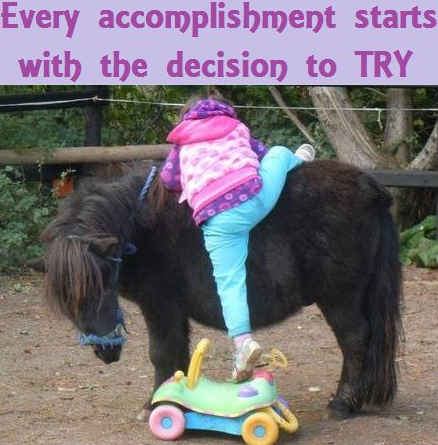 If suddenly taken by surprise, such as a child running directly up behind them, making quick sudden movements, someone jumping out from behind a tree as they are walking by, coming up on them with loud, noisy toys, etc., there is always a possibility of being kicked or the horse making a sudden movement out of surprise that can cause a child to fall off. 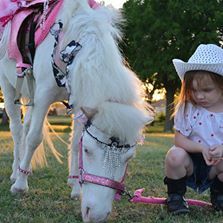 That is why it is very important to follow our guidelines of keeping your children/guests where we ask them to stand while waiting for their ride and also to not approach the pony while another guest is riding or our trailer while we are preparing the pony for your event. WARNING: UNDER TEXAS LAW (CHAPTER 87, CIVIL PRACTICE AND REMEDIES CODE), A FARM ANIMAL PROFESSIONAL IS NOT LIABLE FOR AN INJURY TO OR THE DEATH OF A PARTICIPANT IN FARM ANIMAL ACTIVITIES RESULING FROM THE INHERENT RISKS OF FARN ANIMAL ACTIVITIES. While God’s Little Critters provides staff to assist guests, it is the parent’s and/or responsible party’s responsibility to assist their minor child/ward while participating in activities offered by God’s Little Critters. How do I book a birthday party or event? Once we have spoke, you will be asked to email or text your requests being sure to include the event date, prefered time, package and the address where your event will be held. We will get back to you as soon as possible with an emailed Service Agreement to be reviewd, completed, signed and returned to us with the deposit. A non-refundable $100 deposit is required to hold a date and time for events less than $500 and a 50% deposit is required to hold date and time for events $500 and up. Reservations are not confirmed held until a deposit is received. We do accept credit cards with an added 5% fee. Balance due must be paid in cash upon our arrival at your event. Yes, we do charge an additional mileage fee. Within 60 miles from our address, we charge $1 per one-way mile from our address to the address where your event is being held. 60+ miles, we charge $.75 per roundtrip mile from our address to the address where your event is being held. Also, if it is necessary to take toll roads to the address where your event is being held, those toll charges will also be added to the mileage fee. 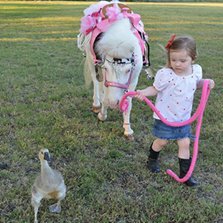 What if our city/town requires a permit and/or fee for having a petting zoo/pony party? If there are any permits and/or fees required by the city/town where your event will be held, you are responsible for handling those at your own expense. If required permits and/or fees have not been taken care of and, on the date and time of your event, the city/town prevents us from setting up, you are still responsible to pay us in full according to the signed Service Agreement. 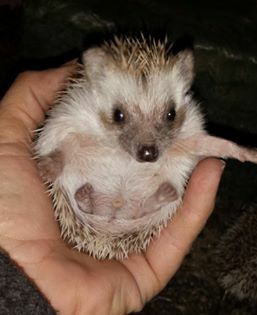 Also, if there is any additional paperwork required of God's Little Critters by the city/town where your event will be held such as shot records, etc., we charge an additional paperwork fee of $75 to be paid in full before we will mail the requested paperwork to the city/town requesting it. Can I write you a check the day of the event? We do not accept personal checks. You can make payment in cash upon arrival, but it must be paid prior to the start of your event. Also, if you are paying in cash, please make sure to have the exact amount as we do not carry change with us. We do accept checks from businesses, schools and churches. We do accept credit cards with an added 5% fee only if paid no later than three (3) days before your scheduled event date. Deposits are non-refundable. 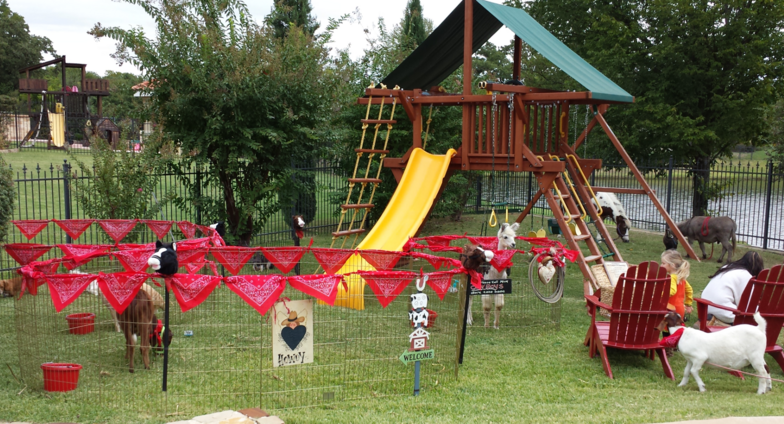 If the weather is questionable, we can hold the petting zoo in a covered space such as a garage, covered porch, etc. We will not hold a pony party in mist, sprinkle or rain. If you choose to postpone or cancel your party or event due to weather, another date for you can be scheduled within 1 year of your original scheduled date. However, your choice of a newly scheduled date and time is dependent upon our calendar of already scheduled events. Deposits are not transferrable for any reason for cancellation, other than weather. Refunds are only issued in the event that we have to cancel a party due to unsafe travel or road conditions/Act of God. If notice of cancellation due to weather is not given by twenty-four (24) hours before your scheduled time of God’s Little Critters by calling (972) 351-6117, the deposit will not be transferrable and no future date will be scheduled without a newly paid non-refundable deposit. Where do you park the animal trailer? Please reserve 30 feet of parking space for our truck and trailer and easy, close (approx. 30 ft.) access to the party area. Otherwise, a $50.00 set-up fee may be added to your account or our parking and setup may extend into your service/party time. Please inform us of any setup or parking concerns immediately as we may not be able to set up at all if the situation is not resolved in advance. We ask that your guests do not park to block our trailer in. It is our desire and hope to create a special memory for everyone at your event and all communications will be greatly appreciated. What happens during set-up time? We will arrive at least 30 minutes early to set up for your event. During our set-up time, we ask that no one except the event holder and/or crowd control volunteer approach us during set up for safety reasons serving both guests and animals. When all is in place, we will give word that it is time to begin. 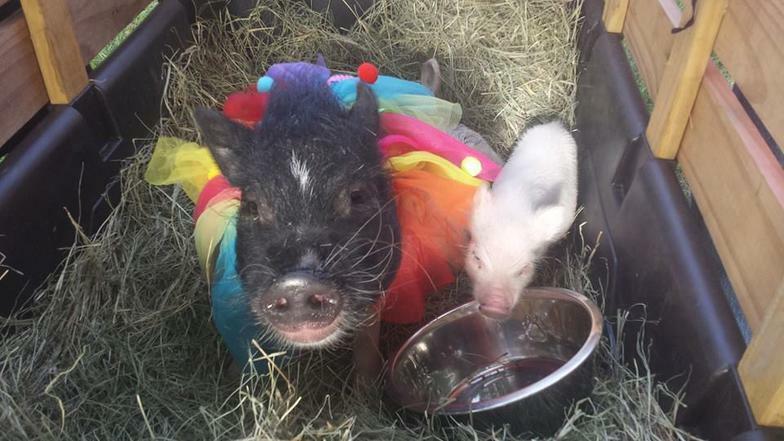 IMPORTANT TO READ: IF ANY ONE OF YOUR GUESTS APPROACHES THE PETTING ZOO TO SEE THE ANIMALS BEFORE YOUR SCHEDULED START TIME WITH GOD’S LITTLE CRITTERS, YOUR START TIME WILL THEN BEGIN AT THE MOMENT SUCH GUEST APPROACHES THE PETTING ZOO AND INTERFERES WITH OUR SET-UP TIME. THUS, YOUR END TIME WITH GOD’S LITTLE CRITTERS WILL ADJUST TO THE NEW START TIME AND WILL END ACCORDING TO TIME PAID AS AGREED TO IN THE SERVIE AGREEMENT. 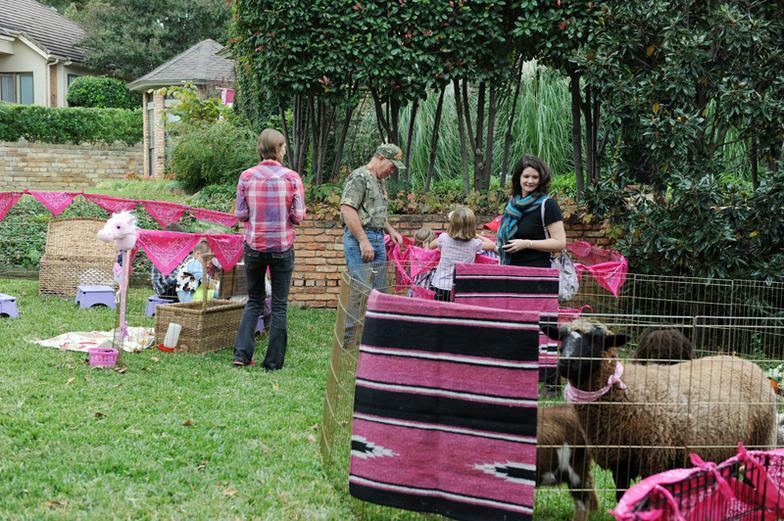 We do not mean to sound harsh, but we have dedicated ourselves to ensuring you with a successful petting zoo event; if we are not afforded the proper amount of set-up time that we have planned for without distraction, then we cannot guarantee that to you. 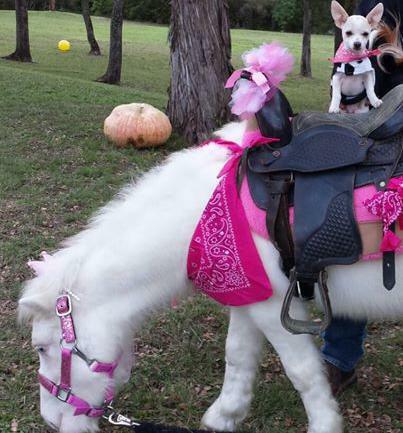 How much room do I need in order to have a pony party? We can generally work around any area available; however, if the area that you have us operating in is small, you must make sure that you do not have party guests standing around in that area. Also, if playground equipment is in close proximity to the area you have us operating in, there should be no guests using the equipment while we are giving pony rides. 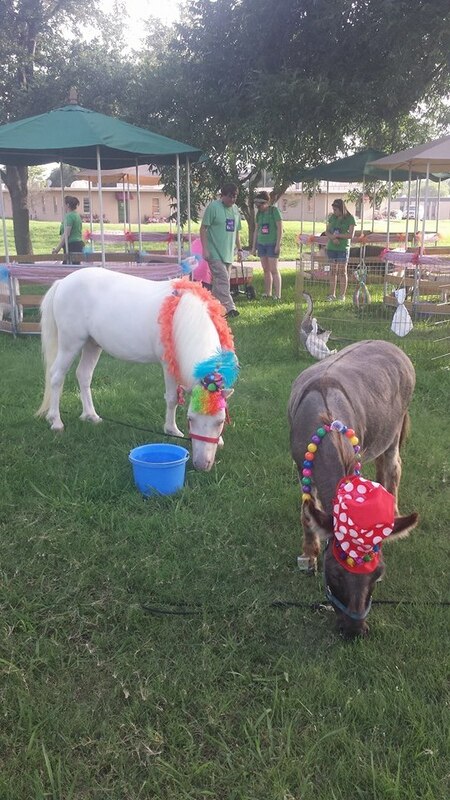 Our staff brings a pooper scooper to clean up the petting zoo and pony ride areas during and after your event. If set up is to be on concrete or indoors, an additional cleanup fee of $100 will be added to the event total; this is due to the needed requirements of tarps and hay/shavings to be put down and cleaned up. *Any travel time of 1 ½- 2 hours from our address to event address is a minimum scheduling fee of $750 plus mileage fee. **Any travel time of 2 -3 ½ hours or more from our address to event address is a minimum scheduling fee of $1,500, plus mileage fee. ***Any travel time over 3 ½ hours or more from our address to event address, please call for pricing. ****No discounts on pricing are given for travel time over 1 ½ hours from our address to event address. 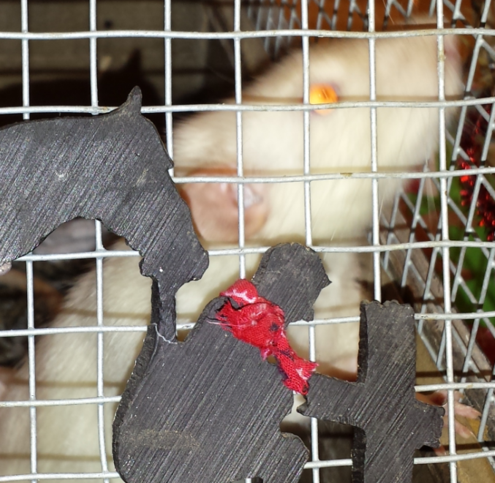 What are the expecations of God's Little Critters for our guests? 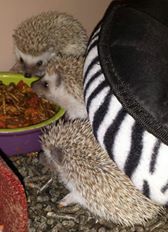 (2) No one is allowed to give any type of food to the animals belonging to God’s Little Critters. Animals get excited when being fed and may nip looking for food when being hand fed. (3) No dogs belonging to event holder or guests are allowed around animals belonging to God’s Little Critters. 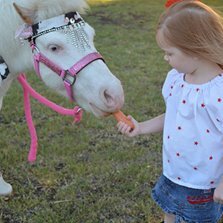 Our ponies and petting zoo critters are familiar with being around dogs and other animals. 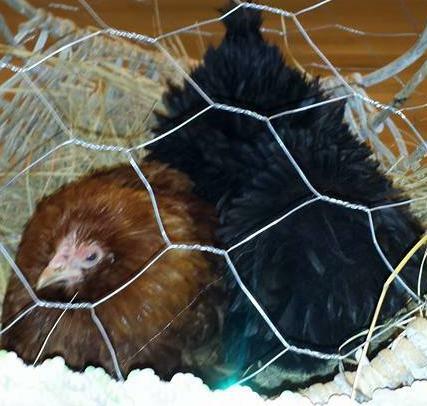 However, your animals most likely have not been around ponies and farm animals in their environment though. So that all pets will remain happy and not stressed, we ask that no one approach the petting zoo or ponies with their dog. (4) Closed toe shoes are a MUST for children and adults around horses/ponies and petting zoo. (5) Please take care to remove any valuable personal belongings such as clothing, jewelry, furniture, plants, landscaping or any other objects that need to be kept away from all the animals belonging to God’s Little Critters. All animals, especially goats and sheep, will chew on clothing, jewelry or other objects. We are not liable for any damage to personal belongings. (6) All children under 5 years of age MUST be accompanied by their parent or responsible party as a side-walker when riding hand-led horses/ponies. (7) Each horse/pony has a different weight limit for its rider to weigh. Such weight determination will be made on an individual basis. (8) All adults and children MUST wash hands before and after petting the animals. Please provide a convenient location for your guests to wash their hands. We do provide hand sanitizer in addition. (9) While God’s Little Critters provides staff to assist guests, it is the parent’s and/or responsible party’s responsibility to assist their minor child/ward while participating in activities offered by God’s Little Critters. (10) If at any time the event develops into an unsafe situation, God’s Little Critters reserves the right to leave without refund. *THIS PONY IS NOT LED AT THE SAME TIME AS THE OTHER. BIRTHDAY CHILD AGED CHILDREN RIDE FIRST ON BIRTHDAY PONY. BIRTHDAY PARTY PONY IS UNSADDLED AND 2ND PONY IS READY TO BE RIDDEN BY OLDER CHILDREN AT PARTY.